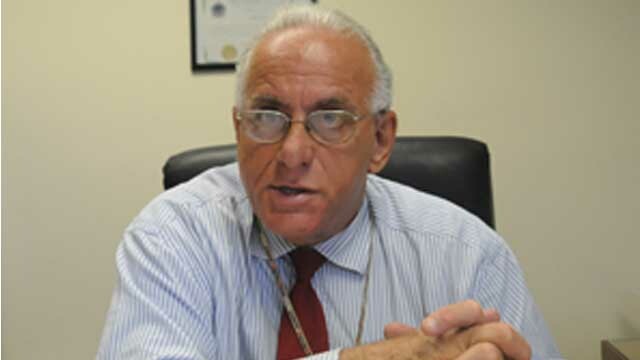 Political and social commentator Dwyer Astaphan, a former government minister, has added his views to the ongoing debate over the use of the MRI services at the St. Kitts Biomedical Research Foundation. He said while experts in the medical field say it is an industry practice for facilities to use a single MRI machine for both animal and human testing, the public was of the view that the government’s partnership with the private company was a short term arrangement and MRI services would have been made available at the public hospital. Astaphan opined that procuring an MRI machine would have been a worthwhile investment for the government. “I have consulted with people in the medical and medical research fields both locally and overseas and they say it’s not unique for facilities to test human and other species, but there are certain protocols that need to be followed that deal with medical ethics, sanitation, hygiene, timing, that sort of thing; but also communication with the public and it was felt that in this case the public has not been sufficiently informed. “Secondly, among professional decision-makers- not political- professional, I believe there was a presumption that this was a temporary arrangement so that the actual MRI equipment would be located in a government medical facility. “I also understand that we have two local radiologists none of whom makes any revenue from the MRI. “Of course the costs are quite significant- I’m told that an MRI machine can be procured for about 2 million dollars, if you have to build the space for it and the human resource etcetera- 4 million dollars, can you afford not to have it? And you could go back as much as you want and say the Labour Party was in power, they collected all of this money yes, but they’re not in power- you’re in power, you have to do the job. The former people in the Fire Department didn’t put out the fire, you’re in the Fire Department now, you have to put it out. “Two million or even four million dollars cannot be regarded as too excessive an investment, particularly an investment that is so necessary. Maybe we don’t need two MRIs in the country for our human patients but one would do, in a hospital or in a government facility. Still making a case that the better scenario would be for the services to be provided at the JN France Hospital, Astaphan pointed out that transporting critical patients to the location of the MRI facility at Bourryeau could be detrimental to their conditions, or worse yet, result in fatalities. Mr. Astaphan went on to claim that yet another critical medical service, CT Scanning, is being outsourced to a private entity, and like St. Kitts Biomedical, a controlling official has ties to the Monkey Farm and another is related to the Prime Minister.